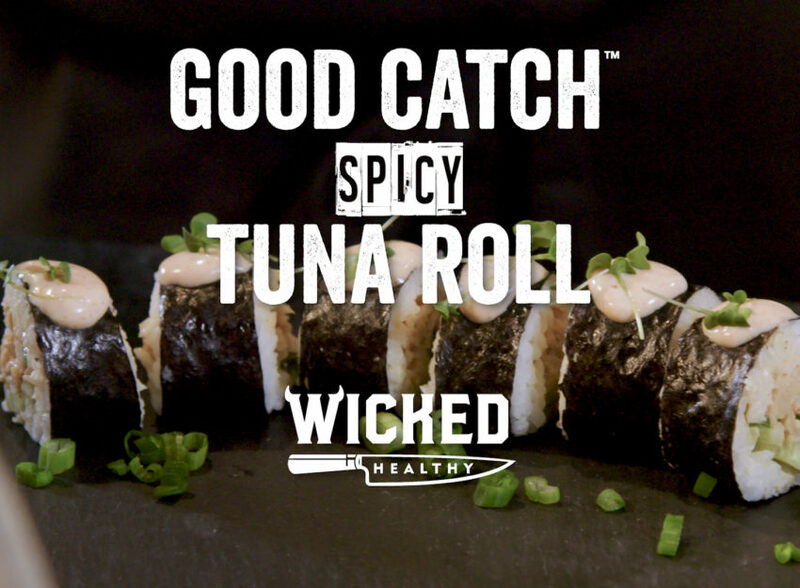 Spice it up and cool it down with Good Catch fish-free tuna! 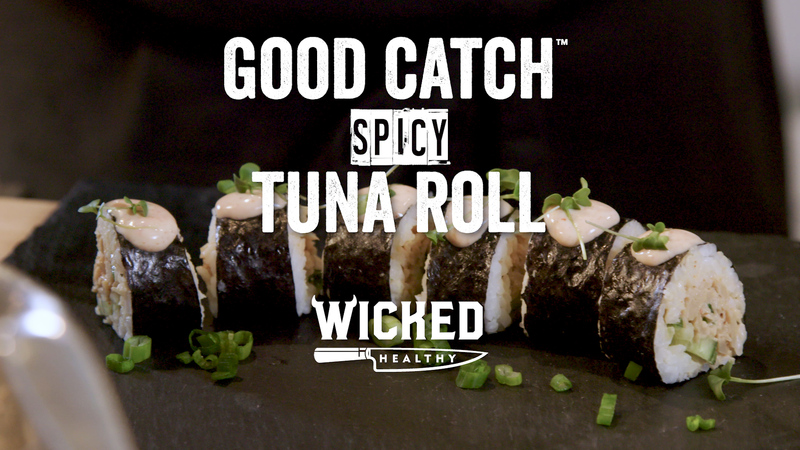 Cucumber, green onions and Ninja Squirrel Sriracha combine forces to make this #freefromanimals plant-based spicy tuna roll! Place the tuna and green onions into a medium-sized prep bowl. In a separate small bowl, combine the plant-based mayo and sriracha. Add about half of the sauce to the tuna, folding in gently to combine. Taste and add more sauce if desired. Place one of the nori sheets, shiny side down, on a cutting board. Wet your hands with a little water to prevent sticking, then distribute one-fourth of the cooled rice onto the nori sheet, leaving about ½-inch space at the top. Layer some of the sliced cucumber and ½ cup of the spicy tuna towards the bottom of the roll, then slowly and tightly roll it away from yourself. Place a little dab of water across the top of the nori sheet to create a seal and complete the roll. Cut the roll in half, then each half into 4 pieces to create 8 pieces total. Repeat the process with the remaining ingredients. To serve, garnish each piece with some of the reserved sriracha-mayo, green onion and microgreens. TIP: To make the seasoned sushi rice, rinse 1 cup of uncooked sushi rice in cold water several times, then drain. Transfer to a rice cooker and add 1 cup water. Once cooked, transfer to a large prep bowl. Using a wooden paddle, gently spread the grains to allow to slightly cool. Season with 1 teaspoon rice vinegar, 1 teaspoon sugar and ¼ teaspoon salt. Allow the rice to come to room temperature before assembling your rolls.